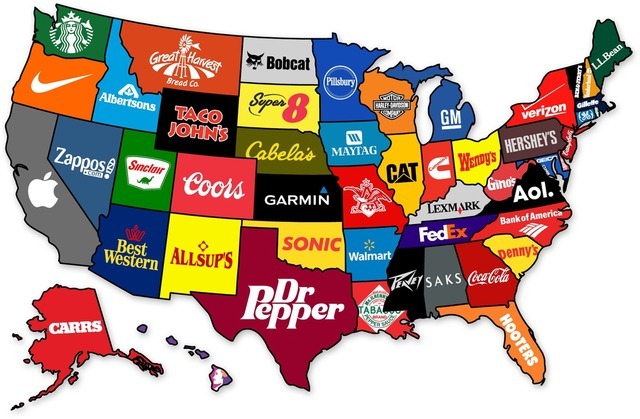 The “Corporate States of America” is visual break down of the country through brands. Each state is identified by its most prominent, well known business it's associated with. Not only a great way to brush up on your geography but also your big business knowledge! Via.